The rules, regulations and statutes that govern the health care industry not only affect health care professionals and institutions, but also the relationships among health care professionals, health care institutions and their patients. Koley Jessen understands these relationships. We apply our years of experience to assist clients in the health care industry in balancing regulatory compliance with the need to manage a successful business. Our clients trust us because we have the experience to navigate the complex health law landscape. Our health law experience ranges from advising clients on proper entity selection and related taxation issues during start-up to growing a company through mergers, acquisitions or joint ventures. We also advise and assist clients with regard to succession planning or dissolution when the business is no longer viable. We advise clients on the numerous day-to-day aspects of a health care business, and counsel them in best practices for liability protection. 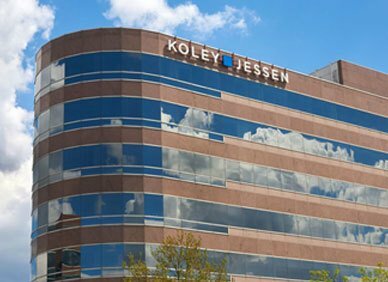 Koley Jessen’s team approach allows us to utilize the experience and expertise of specialized attorneys to supplement our health law services. These include services related to business, employment law, employee benefits, mergers and acquisitions, estate planning, litigation, real estate and tax. Due to our proven expertise in health law, our attorneys are often sought out by other law firms to assist in the representation of their health care clients. The health law industry is fast-paced and our clients often have very limited time to spend addressing legal matters. We pride ourselves on our availability and responsiveness to our clients and our ability to work around their schedules to resolve matters and meet deadlines.